This sounds crazy, right? But, believe me, it isn’t!Just imagine, You are one of the people who are watching and hearing numerous speakers come and go. The speakers come and they go! So, Now, The anchor announces the name of the next speaker. And, Guess what? You expect her/him to come and start speaking immediately. But, The speaker comes to the stage and doesn’t say a word. Rather, She /He looks around and gives a bright smile to everyone sitting in the hall! People are stunned! “Why isn’t he saying anything?”, They start asking themselves. So, After 8 to 10 seconds, the speaker starts with their speech but only this time the speaker has caught everyone’s attention! so, I am living my life to the fullest today. so, I am eating my favorite food today. so, I am listening to it carefully today. so, I am thanking them today. so, I am running today. so, I am adding value to them today. so, I am doing things which I love today. so, I am undoubtedly following it today. so, I am making every opportunity count today. It is not a less known fact that our first impressions matter a lot. So, Why not make it BIG? Conventionally, Speakers start off slowly, take their pace up and in the middle of their talk, make it as BIG as it could be! So, Starting off with a rhyme or a poem is something which isn’t seen a lot. So, This would help you catch people’s attention and help them keep their eye on you. This phrase always gets the juices flowing and the guns blazing. Why? Because you ask people to do something they absolutely love-IMAGINE! As everyone’s imagination wouldn’t be the same and people would not miss the chance to imagine about something, This starting always does the trick. And, You can continue with the story. But, the point which I am making is that this concept is extremely important and takes inspiration from the times when we used to read poems when we were back in school. I remember the teacher reading the poem beautifully written about the breathtaking beauty of Mother – Nature and I used to imagine myself among the tall trees, beautiful flowers and what not! Actually, It was just a poem with some words in it. But, See the impact? It was because we were imagining then, too! So, Making the readers who are reading a poem or the audience who are listening to a speech, Imagination does the trick! These were some of my favorite ways to open a speech with a BANG! 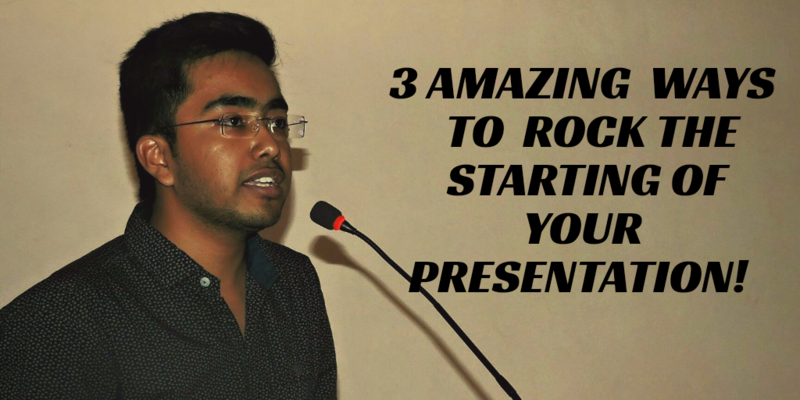 I hope they assist you in your next speech and help you to rock the stage!